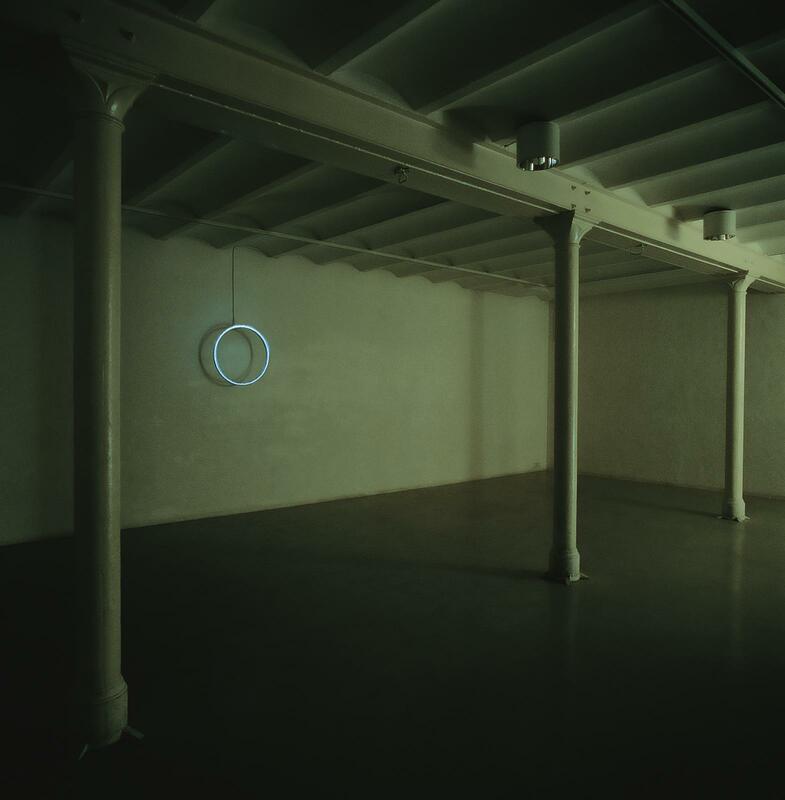 No nights in summer, no days in winter consists of a metal ring, two feet in diameter, hung at eye level in a darkened room and studded by gas nozzles around its circumference. 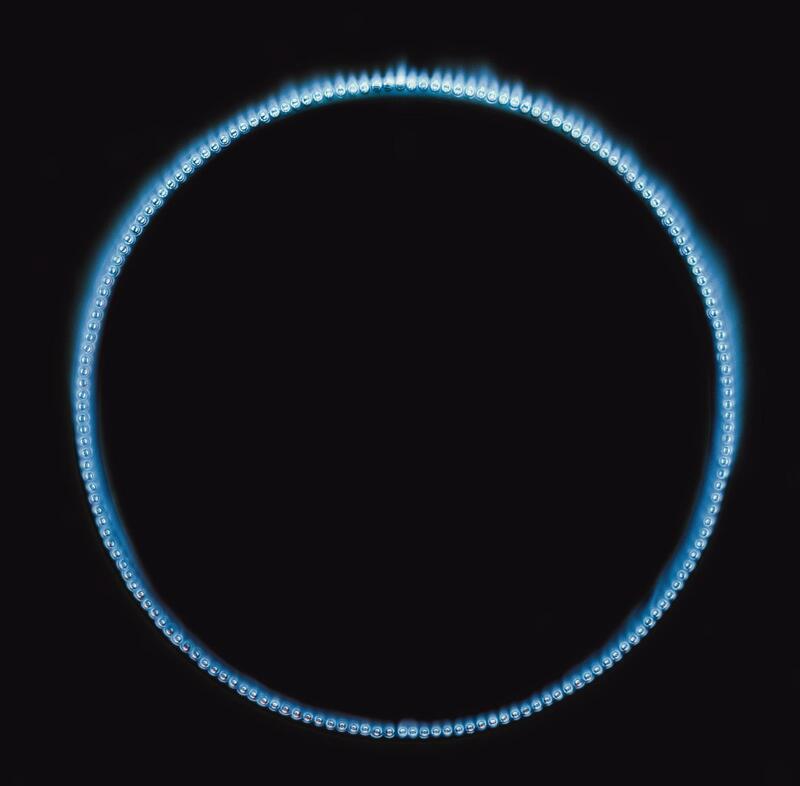 When propane is pumped through the nozzles and lit, a ring of small flame jets casts blue light into the space in which the work is installed. Continuously consuming fuel, the artwork not only illuminates, but also heats the space and fills the soundscape with a constant hiss. The title No nights in summer, no days in winter refers to the phenomenon that occurs in regions north of the Arctic Circle in which the sun does not rise or set for months at a time.